Lots of big changes are coming to Heroes of the Storm today. Lots of big changes are coming to Heroes of the Storm today. Blizzard's list of patch notes detail dramatic gameplay adjustments alongside the addition of a new hero, map, and ranked mode known as "Team League." 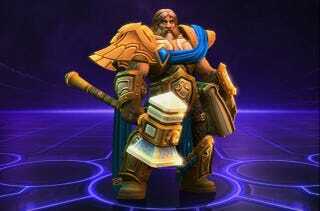 The hero tweaks seem particularly interesting—Uther is basically being rebuilt with five new talents.